A Post Card quilt pattern from Villa Rosa Designs. This pattern is easy to piece, making it great for quilters of all skill levels, beginners through advanced. 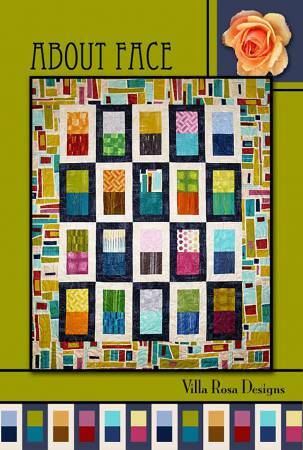 This is a colorful and fun design that frames stacked squares for a fun and interesting quilt. You will need the following quilting fabric to make this quilt top. With optional border: 50" x 61"